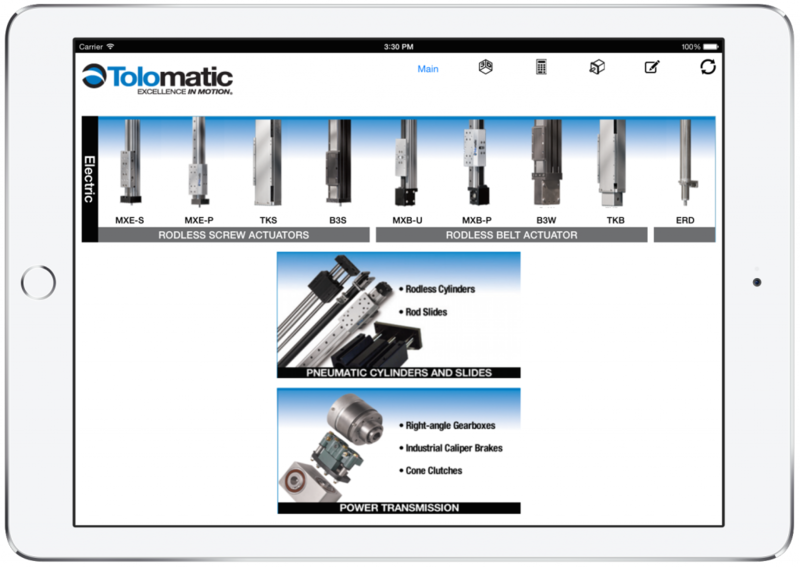 Tolomatic is a leading supplier of electric linear actuators, pneumatic rodless cylinders and right angle gearboxes. 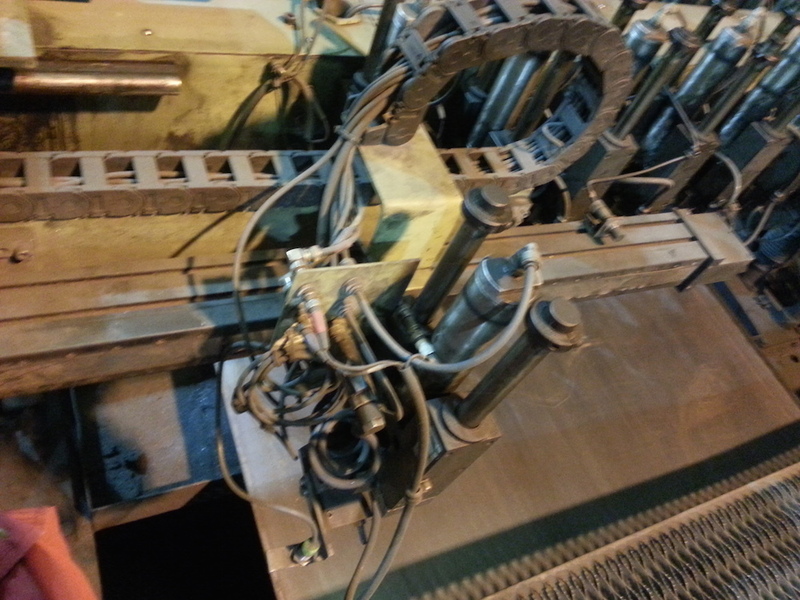 The company was founded in 1954 and is based in Hamel, Minnesota. 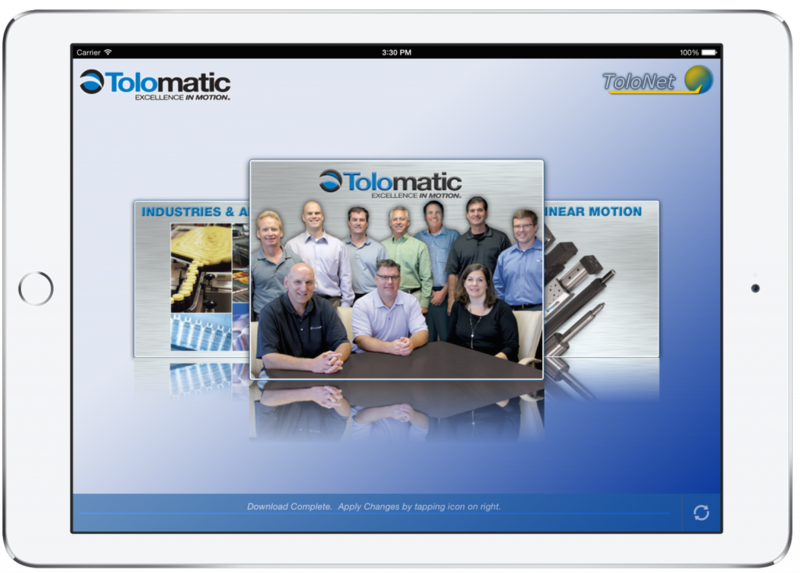 For Tolomatic, we created a highly customizable iPad based catalog app with integrated data and content management functionality. 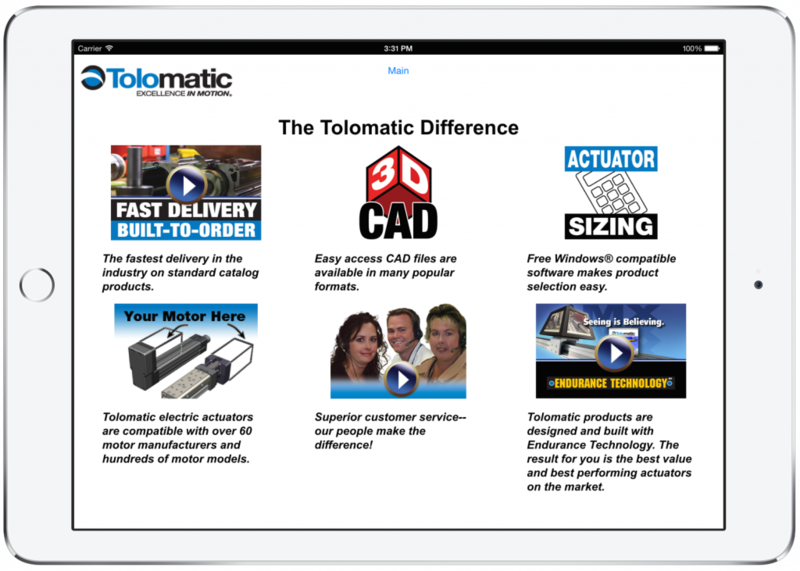 This enables the company to manage, and easily distribute a searchable library of sales and marketing materials, including technical documentation, sales brochures, white papers, and videos. 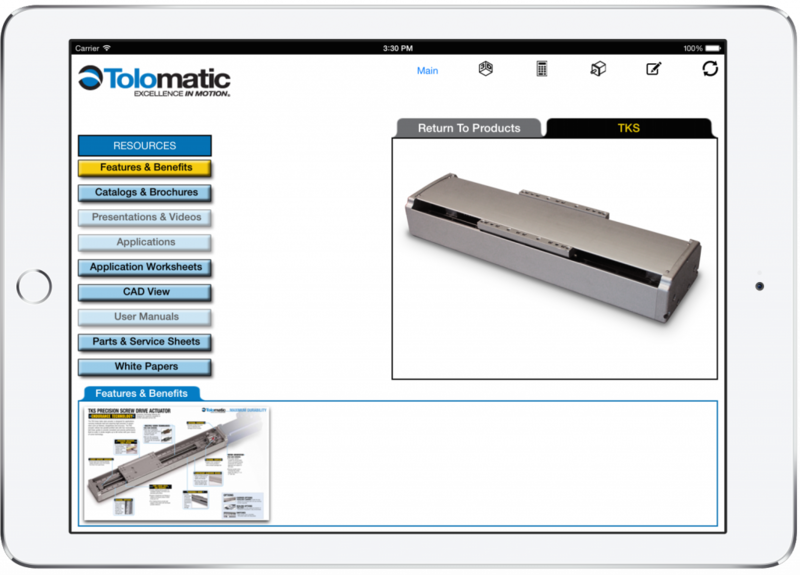 The sales force uses the Catalog Application, to quickly, efficiently, and succinctly present sales information, and answer questions, which reduces distraction.